Today would have been my Grandma's birthday. She has been gone for awhile now but I think of her often and wish her a Happy Birthday in Heaven. 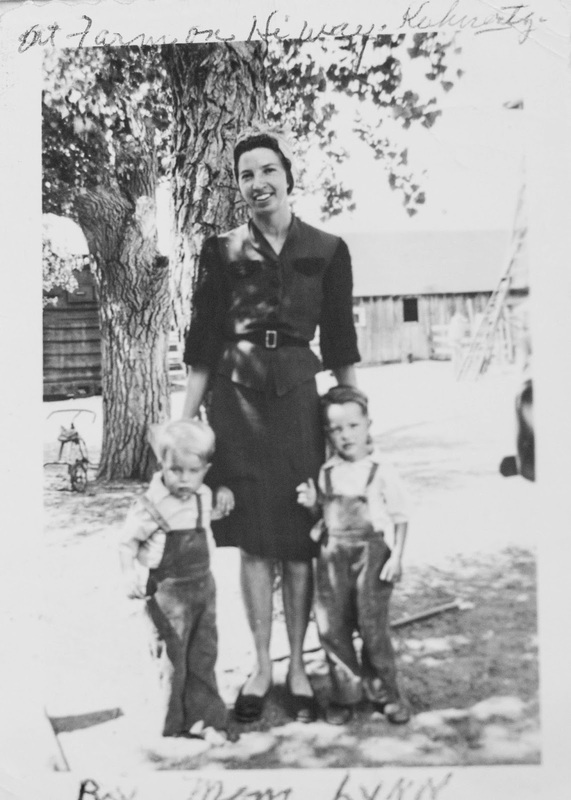 She was the mom of many, seven to be exact, was a farmer's wife, and eventually worked in the nursery of a hospital. She buried one of her babies, out lived her husband, and helped many of her kids through various parts of her lives. I like to think of her as a strong woman, a woman from a different time period, a woman who saw so many changes in her life. She sent sons to war at a time when communication was much slower if at all. She loved to tell stories many of which I did not take to heart as a young person. I always wish I could hear those stories now and of course take photos. Photos of her but also of her hands. I remember her hands, the rings she wore on them, and the way they were hands of work. I remember her love of fresh tomatoes and dinners that were simple and to the point. As a young adult I would go see her and go to church with her. I would be a novelty in a congregation that was very small. I loved visiting her then and escaping for a weekend. I think she would like the family we have created and understand the chaos that many kids bring, but mostly I would want to take her to my garden and maybe even share a piece of blackberry pie.